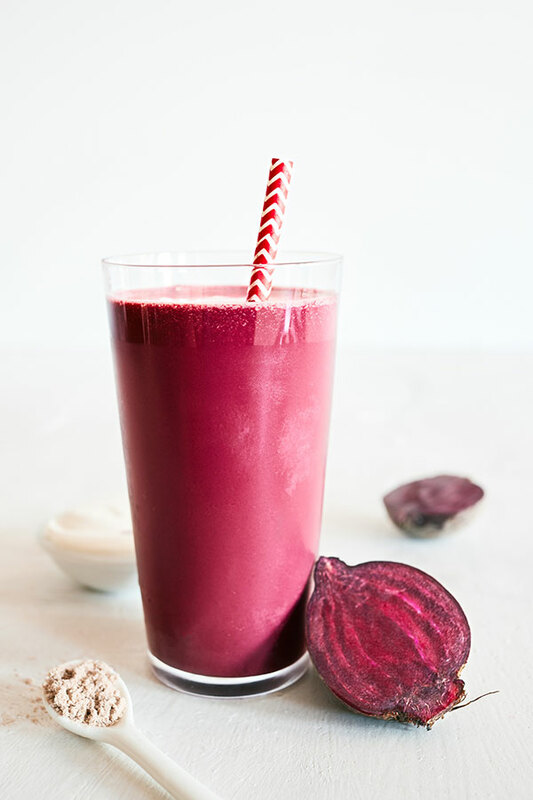 It’s hard to resist the delicious color (and flavor!) of red velvet cakes, red velvet cupcakes, red velvet sponge cakes…you get the picture. 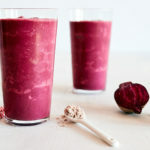 Rather than abandon our healthy nutrition plan for a few sugary bites of cake, whip up this gorgeous Red Velvet Smoothie instead. This healthy version of that ubiquitous crimson cake features some of the very same ingredients originally used to make this yummy treat so delicious. 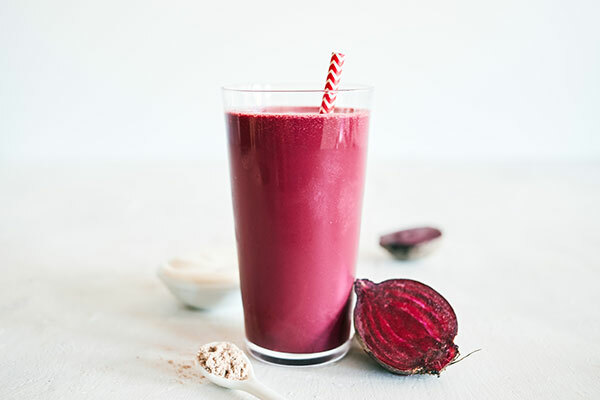 This Chocolate Shakeology smoothie recipe gets its gorgeous hue from a cooked beet (we promise you won’t taste it), and a dollop of mascarpone cheese gives it a hint of that cream cheese frosting flavor. You could swap in part-skim ricotta or reduced fat (2%) Greek yogurt if you prefer. 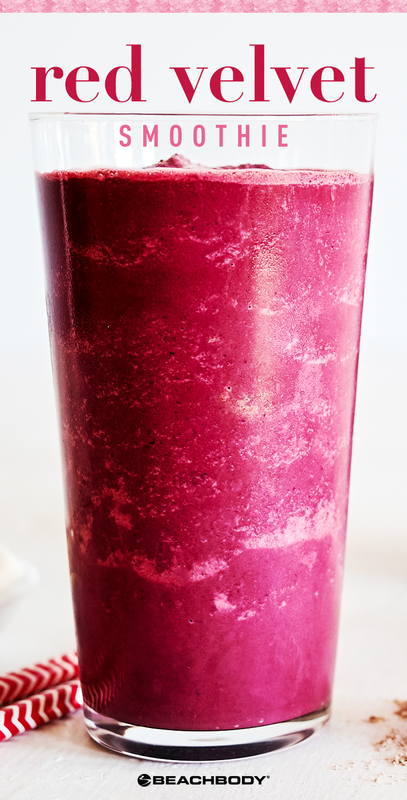 This decadent Red Velvet Smoothie featuring creamy Chocolate Shakeology gets its classic crimson hue from a surprising ingredient.